This is the cover of the first book in a series of contemporary Christian romance novels. The series is titled, The Magnolia Series. The setting for the books is Magnolia, TX. The main characters are 59 and 62 years old in the first book. Romance does not stop at a certain age and it is never too late for love; no matter what age you are. There are many twists and turns and some mystery and excitement along with the romance. There are adult children, grandchildren, friends and many other life happenings that take place within the pages. This is the second title in The Magnolia Series. Cal and Lucy face more difficulties but can overcome anything with their love for each other and their love for the Lord. The third novel in The Magnolia Series is titled, Riding With a Cowboy. The Frasier family will keep you interested in their lives and their activities from the first page to the last. The fourth and final novel in The Magnolia Series is Following A Cowboy. You will enjoy being involved in the lives of Cal and Lucy's children and grandchildren. In 2012, I received a scholarship to attend the Write to Publish conference at Wheaton College in Wheaton, IL. I had attended one-day seminars previously but never a 'real, for sure' writer's conference. I thoroughly enjoyed my time there and came home with much information and many new friends. I took what I learned and applied it to my writing project: a non-fiction book about my special needs daughter and our experiences together. While at the conference, I was advised to include other parents' stories in the book. I tried; I really did. I used social media and any contacts I had through my daughter's programs and agencies. I spread the word through many special education teachers. I promised total anonymity; I would not even use the person's home state. I received ONE response. I decided God was telling me this was to be Kalisha's story and no one else's. I had talked about this book for 9 years, but once the decision was made to be serious about it, I wanted it done...yesterday. 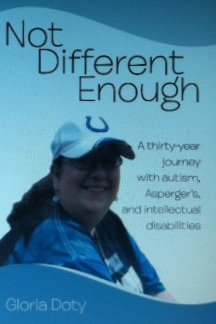 The book, Not Different Enough, was published January 21, 2014. I may forget my children's birthdays but I won't forget the birthday of the book. I was overjoyed. It seemed like a dream. I couldn't believe it was real until I held that first book in my hands. Come to think of it, it is akin to giving birth. You prepare and wait expectantly. The big day arrives, you call everyone you know (and a few people you don't know) to tell them your good news. There are parties; also known as book signings and you get to brag and boast because your child, aka book, is the best in the world. Then the laborious part begins. If you are going to raise this book-child right, you need to learn all sorts of new social media skills and building your 'platform' is one of those skills. The second book published is titled: A Bouquet of Devotions. My sister and I collaborated on the writing of 50 devotions. Each one is accompanied by a photo of a common flower. Thus, the subtitle; 50 Unique Devotions / 50 Common Flowers. 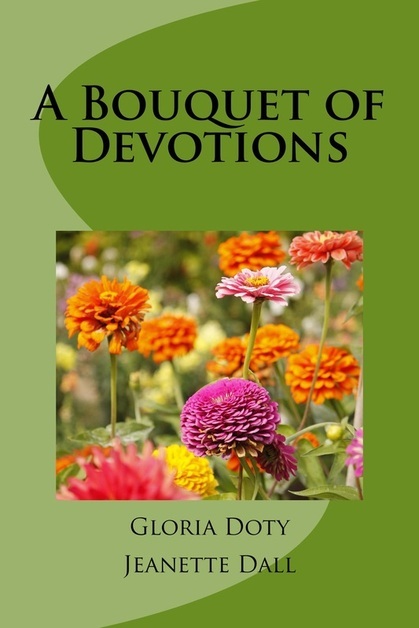 Readers will find interesting facts and a few gardening hints for each flower, also, but the most important thing is the gospel message included in each devotion. This book would make a beautiful gift for Easter, Mother's Day, birthdays; any occasion. It is available on Amazon as a print book or an e-book for your Kindle.